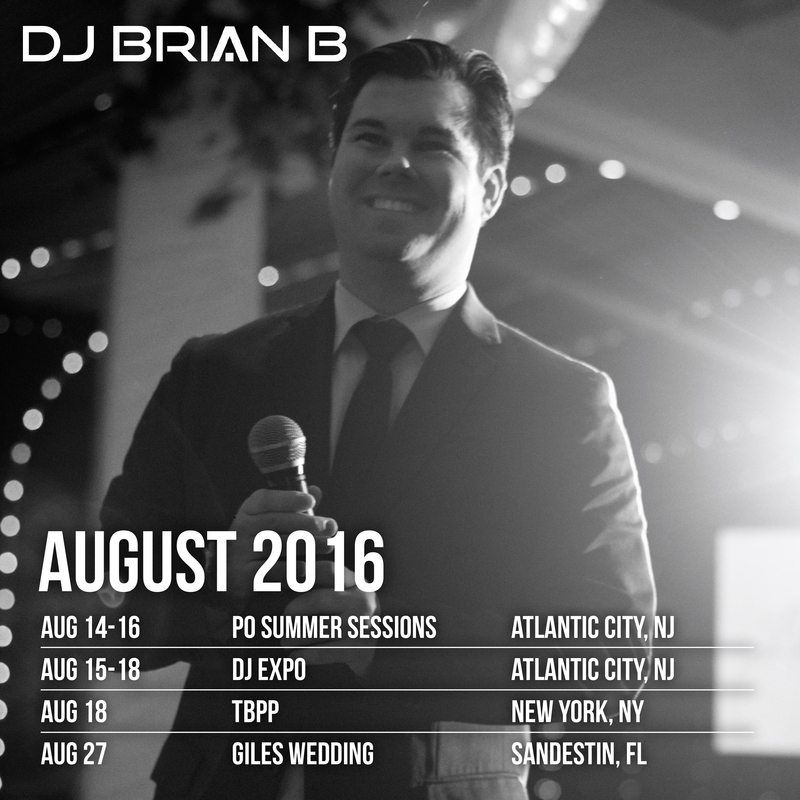 Home / Posts tagged "Sandestin Golf & Beach Resort"
The DJ Brian B Official August 2016 schedule is inked! In all of my regular markets, August is generally too hot for outdoor events. So it’s corporate event season indoors until the end of the month. On tap this month, I start with the Promo Only Summer Sessions, an industry conference for mixshow radio DJs. It gives us a glimpse of some of the upcoming musical acts soon to break in radio. Cary Vance and the folks at Promo Only Promotions do a fantastic job with this one. Then it’s the DJ Expo near the AC boardwalk which is geared for the private event and club DJs. I’ve been attending that show since 1997 – 19 years! It was one of my first industry shows I ever went to. This year is special because I’ll actually be speaking for the first time. I’ve put a ton of time into my presentation which I’ve titled “The Client Experience Matters”. It was important to me to put my hat in the ring as a presenter and give back to the industry that has done so much for me. I get back to New York and will be volunteering for The Birthday Party Project. Last month was an incredible experience and I’m looking forward to increasing my presence at as many of these as I can. If you’re in NYC, join me! I conclude the month with the Giles Wedding at the Sandestin Golf & Beach Resort in Sandestin, FL. The bride and I have been going back and forth on things for a few weeks now and I’m really looking forward to this luxury wedding. The B-Boy Productions, Inc. crew will be handling the majority of the event and I will be unveiling my latest DJ set-up. So pumped to show it off.